Disclosure-This post is not sponsored by Milwaukee County Zoo. 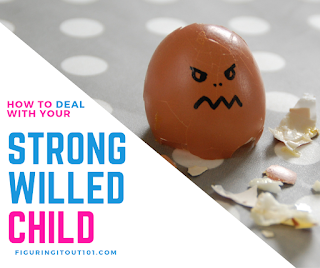 I have not been asked to write this post, nor have I been paid to write it. This is a family trip we took because we wanted to and I wanted to share our experience with you. Once the Midwest warms up again, this entrance will be covered with beautiful vines and flowers and will definitely have more color than this sad, just turned spring picture. 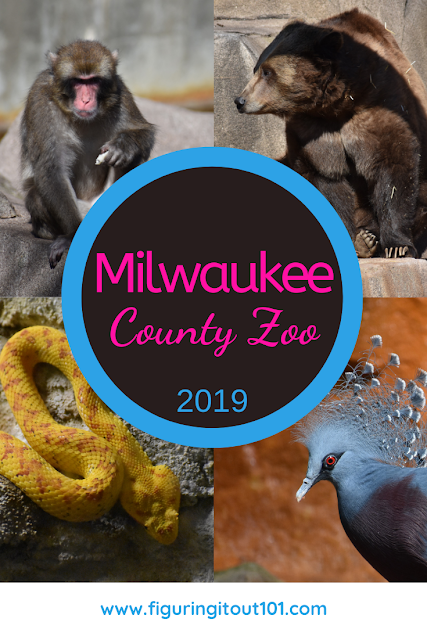 Located on Bluemound Rd in Milwaukee, Wisconsin, the Milwaukee Zoo, isn't new by any means, but it has continually been renovating and expanding itself since it opened in 1892. When the zoo first opened, it displayed only small mammals and birds. In 1934, the zoo becomes commission base, opening up more ways to become fiscally responsible and also allowing the zoo to expand. In 1958, the zoo has become large enough that it purchased it's current location of 200 acres of land. This is when the zoo began to build all of it's animal enclosures including their monkey island, pachyderm and other mammal/reptilian houses. From there, the zoo has continually built and renovated the different animal exhibits to continually improve the habitats of all their animals. The one that I'm most excited for is the renovation and opening of the new safari land "Adventure Africa" for the elephants, giraffes, and other African animals. The zoo is always changing, which is why I'm so glad that my mother-in-law has a pass and lets us use them, too. Every time we go to the zoo, it looks different. This time, it was a bit more chilly, so we visited many indoor exhibits and when we saw the outdoor exhibits, many of the animals were very active. In the summer time the snow will all be melted and flowers will all be in bloom. The zoo is always changing. One great change, this time, was the new otter exhibit. Otters are adorable and we've been disappointed the last few times we had visited because they weren't on display. This time, however, we were delighted to see that there was a new otter display. It was absolutely adorable, with plenty of space for the otters to romp around and play. My son's favorite part of the display was a log water slide made for the active critters to play with. Unfortunately for me, I didn't get any good pictures of them. We were just barely inside the park and we were already greeted by this Peacock. These guys and gals are all over the zoo. They run the place. The first thing that you see when you come in through the main parking lot are the penguins. The next stop if you take a right is the aviation house- House for the birds! I have the most pictures taken from here because my son wanted me to take a picture of ALL the birds- I did not take one of everyone, but I did take many. One thing that I really love about this zoo is all of the fun information that they provide. If it isn't on a sign somewhere, there is a volunteer or zoo keeper nearby ready to answer any of your questions. These penguins were so active! The inside temp was 40-45 degrees, which was how cold it was when we got there that morning. My oldest was in love with all the ducks. This is a crowned pigeon. It's a little bit bigger than a chicken. I don't remember where it comes from, but he's (assuming it's a boy because of the coloring) is just a plethora of color and design. His crown is like peacock feathers and his legs are spotted like a giraffe. Nature is amazing! I wake up some mornings with my hair looking like this guys, but he/she rocks the look. BFFs for life! They kept walking up and down this fence, together. This guy made me think of raptors or a Chocobo from Final Fantasy. These little duck swam like turtles. I dubbed them turtle ducks. These guys live outside on a little island, with indoor access. They were SOOO active this day. We rarely see them move so much. Indoors in the Primate House. These guys all have an outdoor exhibit, too, but they were inside due to the cold. The windows and crowd made it difficult to get a great picture. Baby Bonobos! It was nap time. The momma kepts grabbing this hay/grass stuff and putting it down for a bed and then leading baby over to it, but baby just wanted to play. Auntie/Daddy/Uncle/Brother- whoever this one was was watching from above. Baby making it's bed to sleep in. Gorillas! I don't know if the little one is technically a baby still because it was bigger, but they were very active too. As we headed back towards the bonobos to see the other primates, the baby was up and swinging again. Momma had given up on trying to get the baby to take a nap. Mandrill? I wanted to get a closer shot, but this side of the primate house was packed. This wasn't a very good picture. It was difficult to get in through the crowd. There were so many more to take pictures of, but my family kept walking off without me and with it being one of the first nice weekends, but still chilly, many of the indoor exhibits were very crowded. I didn't get very many pictures in this exhibit because it was dark and there was no flash photography. Any pictures that turned out well were well lit. Not trash bags, but Jelly fish! The octopus that is next to this exhibit was out, but looked too much like a rock to take a good picture. This guy is my kids' favorite. They could spend hours watching him do nothing and then be so excited if he moves an inch. Pignose turtle. I don't know if that's his actual name, but they noted on the signs that he has a pig nose. haha. I laughed when I saw this picture because this chameleon looks so bored. haha. I was only able to get one picture at this exhibit because it was lit well. Almost all of the others were in the dark with red lights because it was a nocturnal exhibit. I wanted to mention it because my kids take great joy in taking me to these because they know that I'm not fond of bats. Enjoy the peacock pictures from the journey on our way to the mammal house. The only picture I took in the mammal house- I think these were mongoose. I'm so mad that I didn't get better pictures of this new exhibit. The zoo opened up their new otter exhibit, but by the time we got to it, my kids were getting a little unruly because they were getting tired. At this point, they wanted to view the otters from each side of the exhibit. This is the little tree trunk den entrance that the zoo made for the kids to go in and see. The only otter picture that I took and it's not even that great. The glace made it glare and it was so crowded, I couldn't get a good picture of them. We think their were four otters in this exhibit, but we also saw two of them giving us a good education on how baby otters get made, so their could be more to come, very soon. He/she was playing with this bark thing. It was super adorable. There are usually a few more bears, but they weren't on exhibit. The zoo made little hammocks for them to nap in, so I was sad to not be able to get a picture of one in it. This is a sea lion, not poop. This giraffe was staring at me for the longest time. I felt like it was examining my soul. These guys are usually outside, but were indoors because they are getting a new exhibit built for them. Red Pandas! They were very active and are a favorite of my kids because we think that Master Shifu in Kung Fu Panda is a Red Panda. By this time, it was almost time for the zoo to close. We didn't get there until around noon, but we still got to see a lot for our four hour visit. I would have liked to have gotten more pictures, but we had this one family that kept following us from this point on and they kept taking a full photo shoot of their ONE child while other families wanted to take pictures, too. I tried not to get too upset because we'll come back because passes are great! However, it was still annoying. This tiger LOVES to sit here. I think he/she just likes to be close to it's food. I remember one time, when my daughter was younger, the tiger looked at her, turned around, and peed all over the window. It was hilarious and frightening. lol. These enclosures are just a giant glass/or whatever material between us and the animal. It's great for the kids, but there were so many finger prints on the glass. It was definitely feeding time. This jaguar wanted it's food now! I know that there is a lot of speculation of whether or not zoos are good for animals. In some cases, a zoo could be the worst thing, but many zoos are here to help scientists learn more about animals and are ever increasing on learning more about animal habitats and are also great places for animal rehabilitation. So many have become reserves for injured or abandoned animals and if not for places like zoos, the average person would never have access to witness or learn about many of these fabulous creatures. 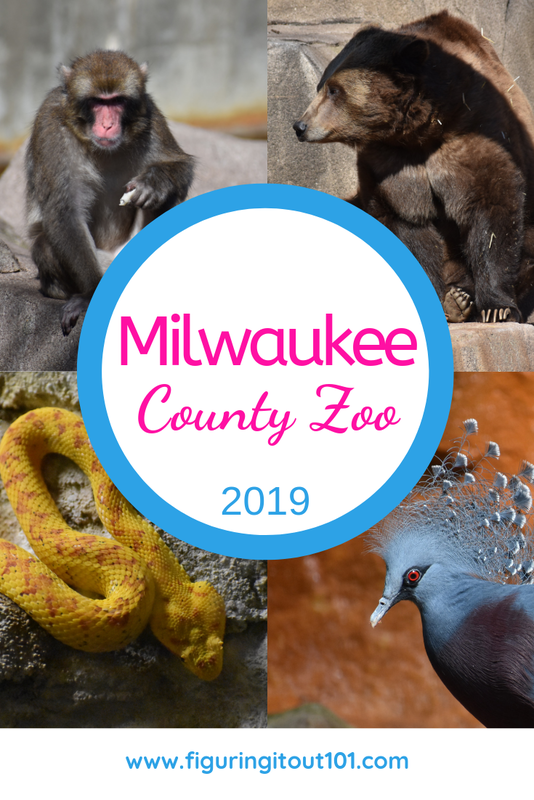 We really enjoy our trips to the Milwaukee County Zoo and are grateful to see that they are always constantly updating their zoo to give animals the best place to live outside of the wild. The camera I used was a Nikon 3400 with flash turned off. The lens was 70-300 mm which is great for range pictures, but not as great for close up shots. This looks like an amazing day at the zoo! I bet the kiddos learned so much! They're getting to be pros. Now they tell me about all the animals. Hopefully, we are going to Wisconsin toward the end of the year. Surely going to take my kids to Milwaukee Zoo.Thanks for telling about it. It's a great zoo and its not so large that you get lost. We love seeing all the different animals. Only I have missed going to this place. My family has visited it. I will do it next time. You have captured good pics. Thank you! This is the only time we get to see some animals up close without worrying about getting mauled. This is a nice size zoo to visit, too. It's not too small and not so large that it's overwhelming. This zoo looks fantastic! I love zoos and always try to visit it when I can (at least once a year). This one looks awesome! I would so go there to spend the full day! There's a lot to do and see for a day visit. It's very enjoyable. I love that zoos are always ever changing. Looks like you and the fam had a lot of fun there! We did! It was the perfect day to go. I love visiting zoos very much. This looks fantastic! I want to visit there. Awww the kids look like they are having SO much fun! Man, that's what life is about eh. My oldest didn't want to go, that morning, but had fun anyways. Mama knows best! You took some great shots. I got to see this zoo from my home and my kid loved the pics. I loved visiting the zoo as a child and my toddler also enjoys his visits to see the animals he reads about in his books. Zoos are so great for kids. hey get to see animals that they might not ever have the opportunity to see in person and get to learn about them. I love the look of the crowned pigeon the most!! It's my first time to see one through pictures, and it looks so beautiful!! Milwaukee Zoo at Wisconsin sure is a beautiful zoo! That was my favorite shot! I had a lot of fun using my zoom lens and capturing these wonderful birds. So many of them are really quite beautiful when you see them up close. I love visiting local attractions that switch things up from time to time. It makes it more enjoyable with each visit. Good thing you have access to the pass. It's been very nice to have. Milwaukee has all of that but so much more. This is a beautiful zoo with great exhibits. Cleanliness is commendable..
You're right! There were many animals that I couldn't photograph because there was no flash photography in those areas or I was too close (only had my long range lens with me) or we just didn't get around to seeing the others.